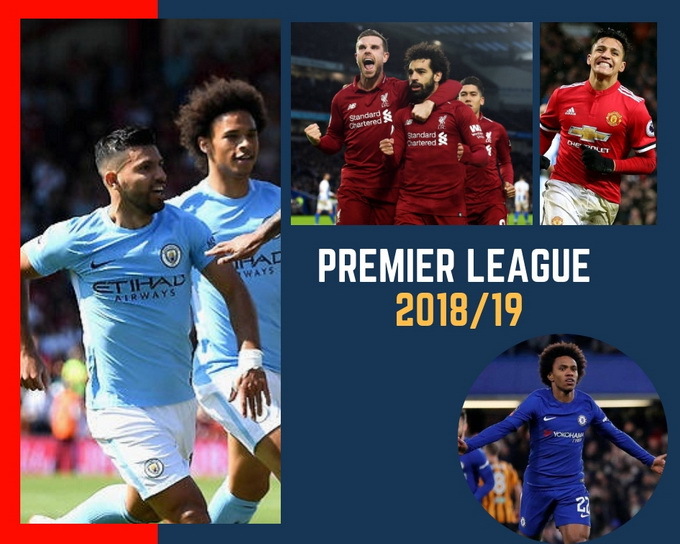 The English Premier League is about to enter its decisive phase with almost all teams frantically looking to reinforce their respective squads ahead of the second half of the season. As things stand at the moment, Liverpool and Manchester City will battle it out for the ultimate prize, with Tottenham Hotspur lurking in the shadows. The Reds are going through a marvelous campaign, topping the table with a record of 19 wins, three draws, and one single defeat. Currently placed by Bet365 as 4/6 (1.67) favorites to lift the title, Jurgen Klopp’s crew goes from strength to strength this season and considering they’ve already faced the Citizens twice this term, everything is in their hands. In the meantime, trailing the Merseysiders by four points, Bet365 price the Citizens as 6/5 (2.20) candidates to claim the English Premier League trophy. However, the reigning holders have stepped up their game recently, with goals flowing again. Pep Guardiola’s men have bagged 23 goals in their last five competitive outings, as they now prepare to face-off Newcastle United at the St. James’ Park. By a distant margin, the Citizens have the fiercest attack in England, as they are the only team to exceed 60 goals scored after the opening 23 games. With the recent knee injury suffered by Harry Kane, and Heung-min Son’s departure for the AFC Asian Cup, the Spurs have left uncovered in the final third. Therefore, Maurizio Pochettino is looking to fill the void in the attacking departure by offering Barcelona outcast, Malcom, an escape route from Camp Nou. Devastated by the absence of their headline performer, Tottenham’s chances of overthrowing Liverpool have declined notably. With a nine-point deficit to the league leaders and without their best player, the Spurs are currently ranked as 80/1 (81) candidates to finish at the top. Meanwhile, Manchester United’s unstoppable run since Ole Gunnar Solskjaer’s arrival threatens to endanger other contestants for the Champions League promotion. Not only Tottenham, but Arsenal and Chelsea also have to watch their backs, with the Red Devils reducing the gap to just three points. The resurrection of Paul Pogba and Marcus Rashford has seen the Red Devils scoring over 1.5 goals per match in six of their last seven games across all competitions. Solskjaer’s instant impact has put Man Utd as 3/2 (2.5) contenders to reach the Champions League, while the odds on Arsenal reaching the most elite club competition have raised to 7/2 (4.50). Liverpool and Man City are the only two sides that have demonstrated consistency throughout the season, while all other sides have had several ups and downs. That’s why it’s so hard to predict who is going to finish in top four next to the aforementioned outfits. For all Premier League fans and betting enthusiasts, the bookmakers offers for new users in 2019 will always keep you posted on the latest odds changes. Liverpool and Man City are already singled out as top favorites to wrap up the title, but the Champions League promotion race will be intriguing until the final fixture. Along with Tottenham, Arsenal, and Man Utd, Chelsea are among the top favorites to finish the season in top four, with the Blues currently standing as ½ (1.50) contestants to advance to the Champions League, according to Bet365. The arrival of Gonzalo Higuain from Juventus seems to have brought Maurizio Sarri’s suffering to an end. Olivier Giroud and Alvaro Morata have failed to live up to expectations this season, bagging six goals altogether. The Argentinean striker is expected to solve Chelsea’s struggling in the final third and bring a new dimension to the Blues’ attack. The 31-year-old should make his Premier League debut against Bournemouth, as the Pensioners travel to the Vitality Stadium in what will be a must-win clash for Sarri’s squad. The Blues have a 3-point lead over fifth-placed Arsenal, who are going through a difficult period. A 3-2 loss to Southampton that has brought the Gunners’ 22-game unbeaten run to an end have had a devastating influence on Unai Emery’s players. Pierre-Emerick Aubameyang and Co. seem to have lost their balance in the past few weeks. As a result, Arsenal have lost four of their last nine games across all competitions, proving they don’t know how to deal with the top-placed clubs. However, a 2-0 win over Chelsea in their last PL fixture has seen the Gunners preventing their London rivals from walking away with the CL promotion.